Premier Lifts is a leading supplier of residential and commercial lifts in Ireland. 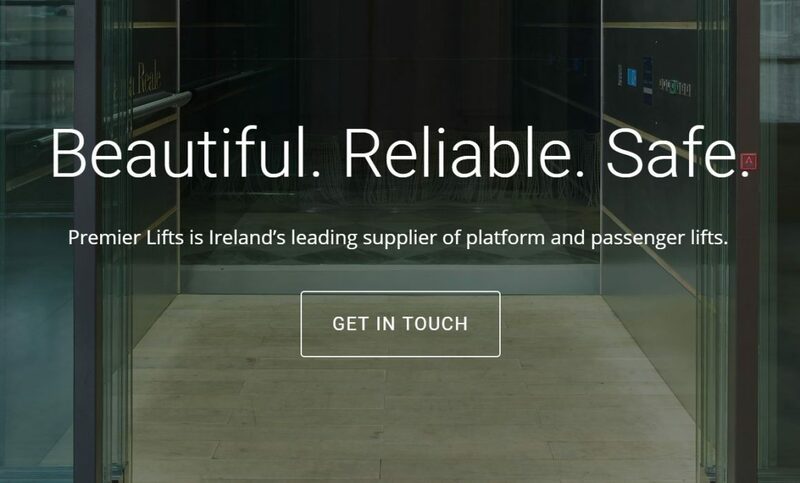 Premier Lifts Ireland is a part the Premier Lift Group, which has been UK’s ideal choice for residential and commercial lifts for over a decade. As Premier Lifts Ireland continues to expand its operations, we are looking to recruit a full time Lift Service Engineer. This role reports directly to the operations department/management, offering a competitive remuneration package and excellent career progression for the successful candidate. The position of Lift Service Engineer will be a varied and interesting role working with a well established and progressive lift installation company. The ideal candidate will be experienced and comfortable working across a portfolio of lifts, however Premier Lifts will provide in-house training on specific projects. Premier Lifts is an ISO certified, equal opportunities employer, with a commitment to collaboration, excellence, safety and professionalism. Remuneration: Dependent on experience and expertise. Competitive. Location Flexible: This role is on the road, serving customers nationwide, reporting to the Irish head office in County Clare regularly. Responsible for the installation of lifts to agreed specification and timelines. Also expected to providing servicing, maintenance and breakdown repairs to existing lifts. The Lift Service Engineer will be expected to carry out all pre-installation site checks. Must also assure that all reports are delivered in a competent, professional and timely manner. Respond to complete minor repairs, snagging and troubleshooting as scheduled by the Repairs/ service manager. Install all types of machinery and lift directive packages. Liaise with internal teams during projects and deal with on-site queries and concerns that the client may have. Report broken down machinery or equipment promptly and proactively flag faulty equipment. Fully responsible for ensuring that you have the appropriate equipment each day. Adhere to company’s health and safety policies as well as standard operating procedures. Minimum 5 years experience working across a portfolio of lifts. Relevant experience working as a Service Engineer such that you could start from day one without requiring any additional training. Industry relevant qualification – NVQ 3 or J5 / J25 / HNC equivalent. Lift Industry Manufacturer Product Training Certificates listed on your CV. Exceptional customer focus and confidence in your skills. Please email your CV, along with a cover letter to admin@lifts.ie. Deadline for applications: 31st of January 2019.